In other words, what are the attitudes, values, and habits that influence the day-to-day living you and your people do? Which version stuck more closely to the book? Do you think adding music made the story better? Why do you think they changed this part of the story? In doing so, we challenge her to take what she’s read and compare and contrast it with these different versions of the same story. Our five-year-old daughter isn’t afraid to ask questions if she doesn’t understand a concept on a cooking show or a story element in a movie. Fortunately for us, we live in an age where we can pause live TV and answer her inquiries without missing what comes next. If we didn’t, I wouldn’t ever hear an entire show! While she’s naturally prone to interrupt with questions, not all of our children have been at that age. We’ve had to teach them. How did we do that? By example. My husband Ted is great at taking time to pause, whether while he’s reading aloud to the kids or watching a movie with them, and ask questions. These questions may pertain to a concept that’s introduced, a word that’s used, or the importance of a character. He models for them that pondering what we consume matters. Earlier this year, I listened to an episode of the podcast Read Aloud Revival where host Sarah Mackenzie interviewed author N.D. Wilson. During their chat, he shared that as a kid he used to constantly complain about the books he was required to read for school. His dad finally told him that he wasn’t allowed to complain anymore. He could, however, make “creative suggestions” on how he would fix the book and make it one he’d enjoy reading. Wilson explains that this engaged him in a completely different way. When I heard this, I decided to use this in my parenting. Why do you believe they made that choice? It was intentional, but why? What would you have done if you were the one making the movie? What about you? 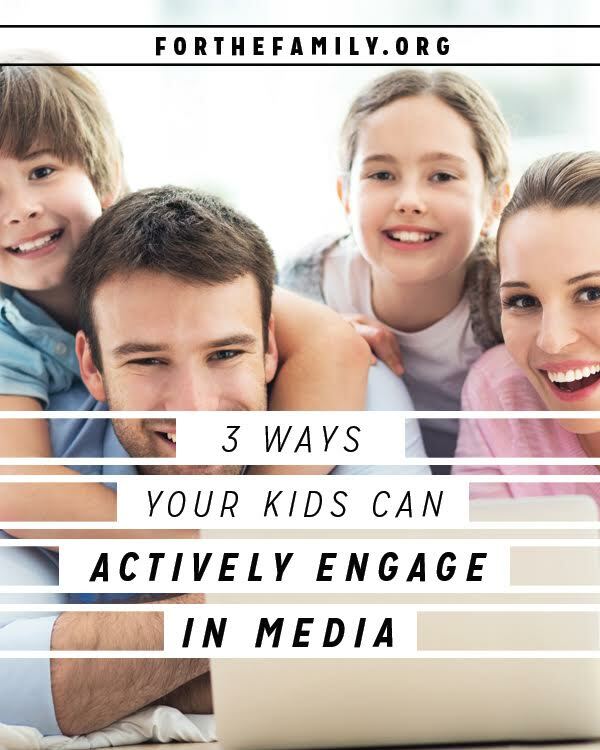 I’d love to hear some ways you are teaching your kids to actively engage what they read, watch, and listen to.